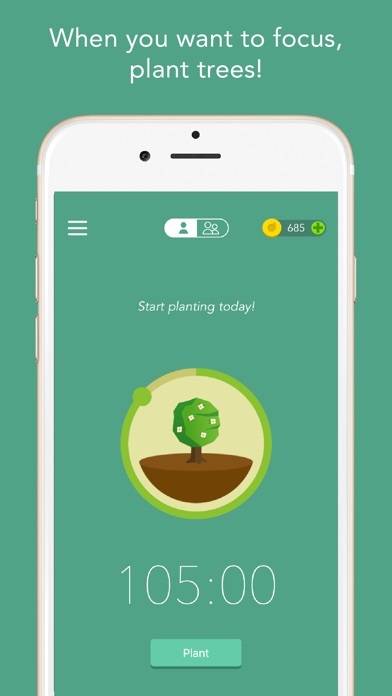 ## Top productivity app in 126 countries. More than 2 million satisfied paying users. Featured in Apple's "Amazing Apps" TV commercial. 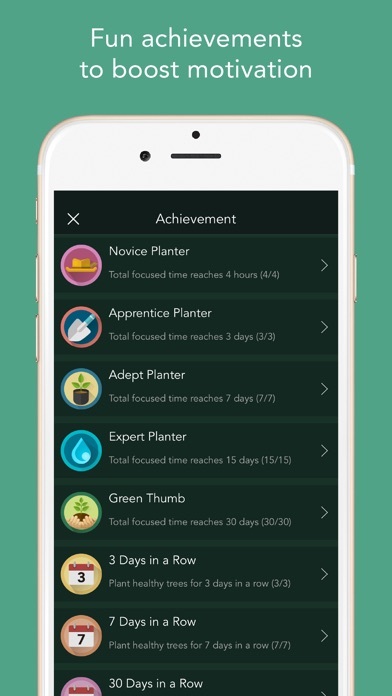 ## Staying focused with the cutest gamified timer. 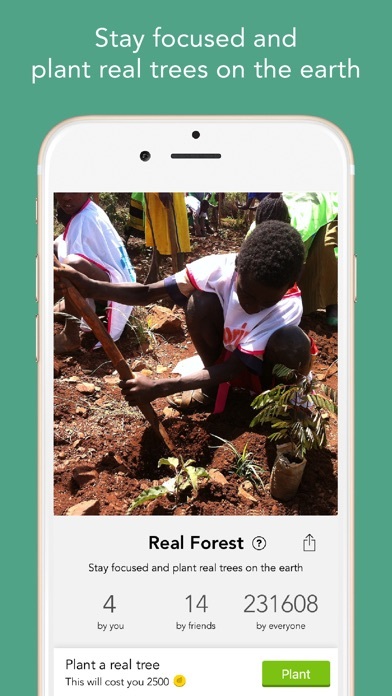 ## Over 400,000 real trees were planted on Earth by our users. 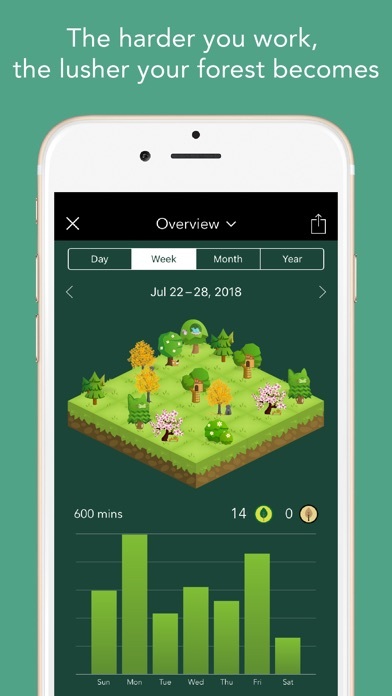 "Forest works well, and if your goal is to be more in the moment, ignore your phone and actually talk to your friends when you are with them, this is the app for you. "— The New York Times "In order to establish new, better habits, it's helpful to engage with tools that make it easier to reinforce them. For anyone looking to curtail their phone usage, the Forest app might be for you. "— Business Insider If you want to temporarily put down your phone and focus on what’s more important in real life, you can plant a seed in Forest. As time goes by, this seed will gradually grow into a tree. However, if you cannot resist the temptation of using your phone and leave the app, your tree will wither. The sense of achievement and responsibility will encourage you to stay away from your phone, and will help you make better use of your time. Stop getting distracted by your phone, make you self-motivated and get more things done. Stay focused. Be present! STAY FOCUSED • A interesting way to help you beat phone addiction and overcome distraction • Turn your focused moments into a lush forest. GET MOTIVATED • Earn rewards and unlock more than 30 new tree species and white noises. • Share your forest and compete with friends and users around the world. • Plant trees along with friends & family. • Unlock achievements and earn extra rewards. • Plant real trees on Earth and protect the environment with tree-planting organization Trees for the Future. STATISTICS • Manage your own tags and view detailed statistics of your time distribution. • Browse your weekly, monthly and even your yearly big forest. 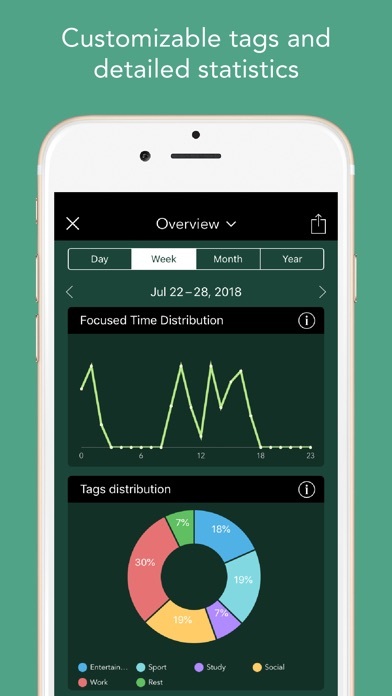 • Track your focused time in the Apple Health App. 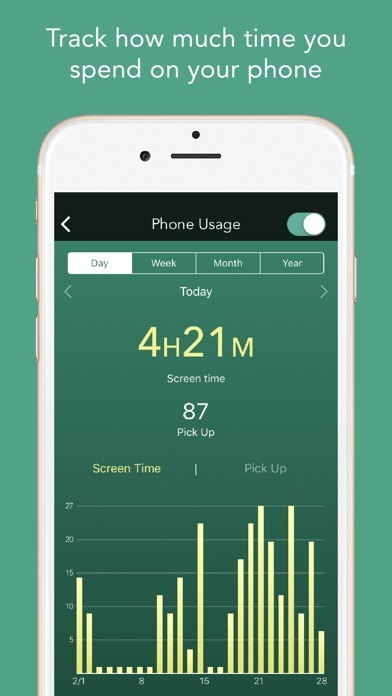 • Track your daily phone usage and screen time. • Recall memories of your planting journey with our brand new Forest Timeline! It's never to late to build up productive habits! NOTICE • Forest is an app available for both iPhone and iPad, and can be accessed across all iOS devices with a one-time purchase. To download or unlock non iOS version of Forest, this requires a separate purchase. However, by logging into the same account, the account data can be synchronized across all platforms. • Due to budget constraint, the number of real trees each user can plant is limited to five. 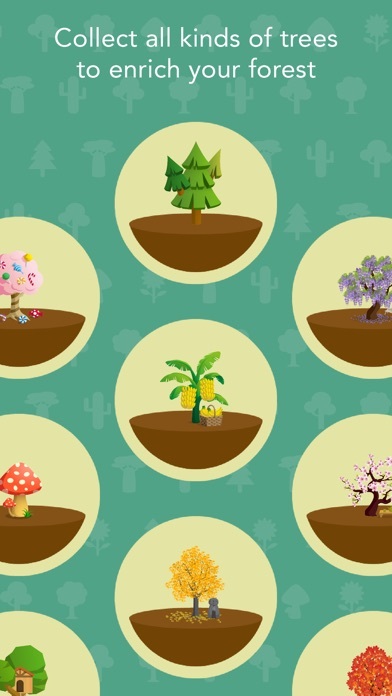 We will be introducing limited time events that will allow users to plant more real trees. Please follow our social media page or check the in-app announcement for more updates. • There is only one version of Forest on the App Store. Other apps that are similar and mimics Forest are not developed by the Forest team. Thank you for your support! Like us on Facebook: https://www.facebook.com/forestapp.cc/ Follow us on Twitter: https://twitter.com/forestapp_cc Follow us on Instagram: https://www.instagram.com/forest_app/ We also provide browser extensions. Find out more on www.forestapp.cc! It’s amazing what having a small, digital tree to tend to can keep you from doing. It’s a gentle reminder to stay focused and it works. Definitely makes me aware how many times a reach for me phone during the day! And keeps me from touching it. I’ve had this app a little over a year and it’s been instrumental in helping me stay in the moment when I’m out and about and keeping me focused at work by turning leaving my phone alone into a game. Have almost collected all the trees and hoping for more soon! This app would be worth it at ten times the price. This app helped me notice that when I’m working, I often tend to turn to my phone the moment my work makes me feel uncomfortable. It’s so automatic I don’t even realize I’m doing it. This app helps me be more aware and realize that distracting myself with my phone doesn’t actually help me. It’s also so cute and feels good to grow trees! 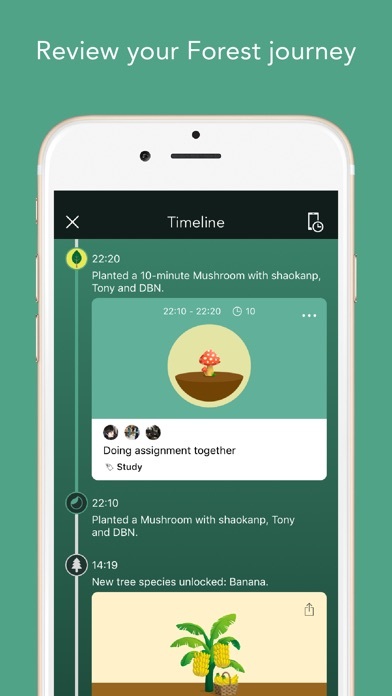 Great app with a great mission. Everyone should have this tool in their pocket. More by SEEKRTECH CO., LTD.